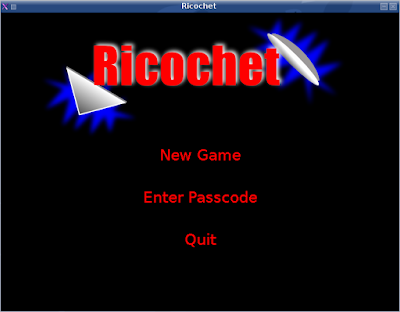 I've finally finished the game I was working on. 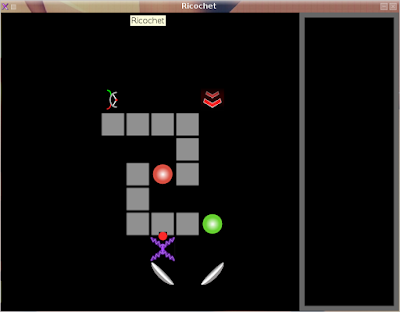 Ricochet is a tile based game in which you use various kinds of mirrors to guide a photon from the launcher and switch on all the switches. After a lot of segfaults and architecture changes due to my intermediate knowledge of C++, it finally seems to be bugfree. 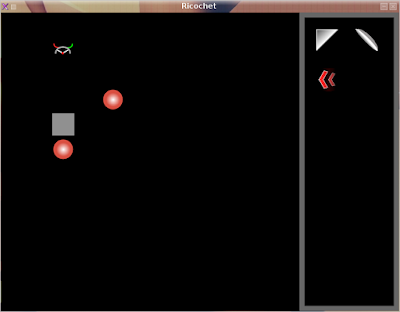 The only thing left to do is add a help, add more levels and make a few small changes, after which it will be released. For now enjoy the screenshots.